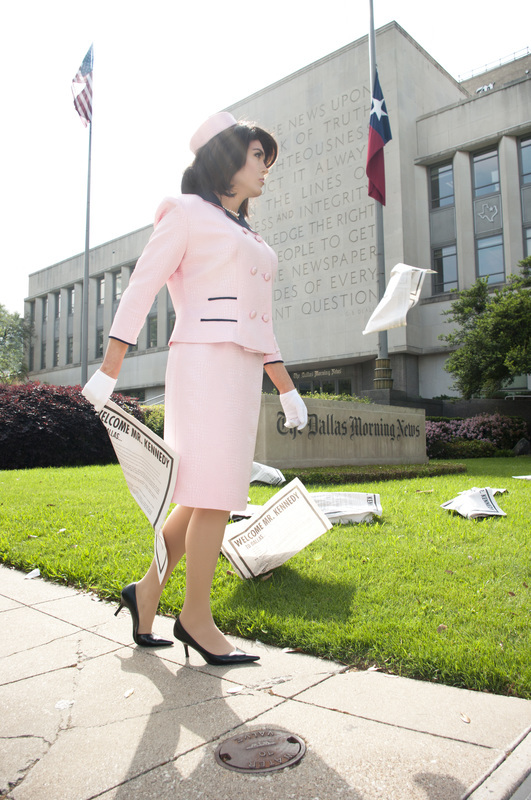 You may have seen his take on that iconic Jackie image, poised in front of DMN at last year’s Art Con seed auction. It featured a transgender Jackie, wired up with an audio recording from the authentic First Lady. Kusner’s series has also shown at CentralTrak and the Kessler, and was recently turned into a photobook, designed to re-mythologize the Kennedy-Oswald Affair, starring all-transgender models. For this program you’ll hear the artist’s thoughts on how the assassination affected the gay community, both locally and beyond. How it piped through John Water’s early "Eat Your Makeup," inspiring the director to cast Divine as America’s favorite pink-suited gal. And how the queer threads got knotted up in all things Oswald. Don’t worry, Kusner will pick through those frayed ends. DALLAS OBSERVER | Nov. 20, 2013.